A male Red-winged Blackbird announces its' presence/Red-winged Blackbird/A male, adult Red-winged Blackbird keeps vigilance over its' territory. 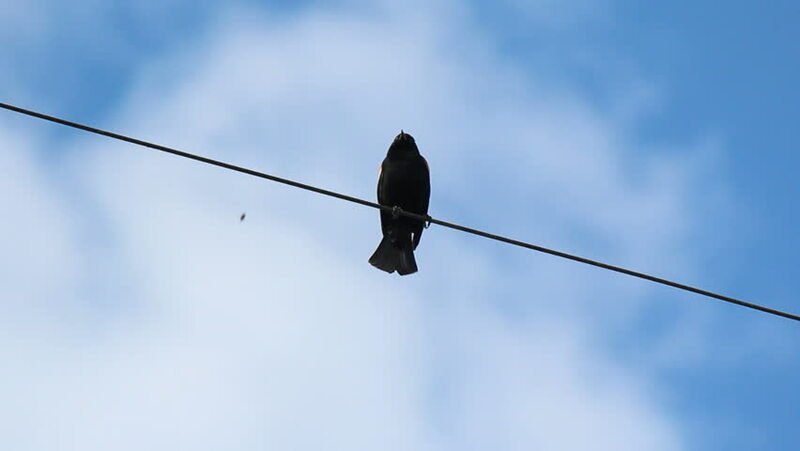 hd00:10Birds sit on wires. Pigeons high up on electric wires - bottom view.